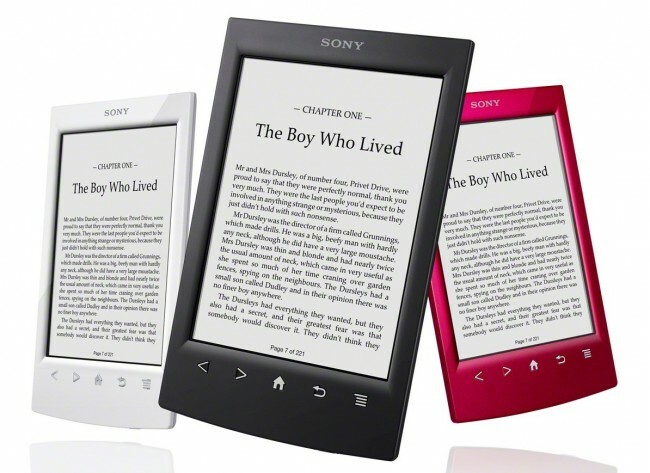 Sony has released the Sony Reader PRS-T2. The new eBook device was leaked last week by accident by an online retailer, so todays launch isn’t a huge surprise. The new reader is a step up from last years T1 model in that it has a new screen as well as other features that enhance the user experience. The new screen is a glare-free eInk display that also is a touchscreen. As well as getting an updated screen, Sony has also installed Evernote on the device as well as given access to Facebook. Those particular applications are cut down from what you would find on a tablet for example although Evernote still allows access to editing, creating documents as you’d expect. Zoom has been fine-tuned and is now more smoother. Page turns are classed as paperlike. Battery life has been doubled on the device and if wireless is switched off, you’ll manage to get about two months of usage between charges. The device comes in the three colours pictured above although if you choose the black model you’ll get a voucher to download Harry Potter and the Sorcerers Stone… I’m not sure to be honest why this is a black device only option, but if a free Harry Potter book is down your street then go for the black. The reader store is now accessed on the device rather than via installed software on a computer. Using the built in wireless connection you can now purchase and download books as needed. There is no 3G option launching… it only comes in wireless versions. For storage, it has 2GB although this can be expanded with a microSD card slot. The device can use microSD cards up to a 32GB capacity which is plenty for storing books on. The new T2 is priced at $129.99 and if you want a light for it, you’ll need to opt for a cover with the integrated light for $50… or leave your lights on of course. Remember that eInk is not backlit which makes it great when the lighting is bright but when it gets dark, you see nothing.